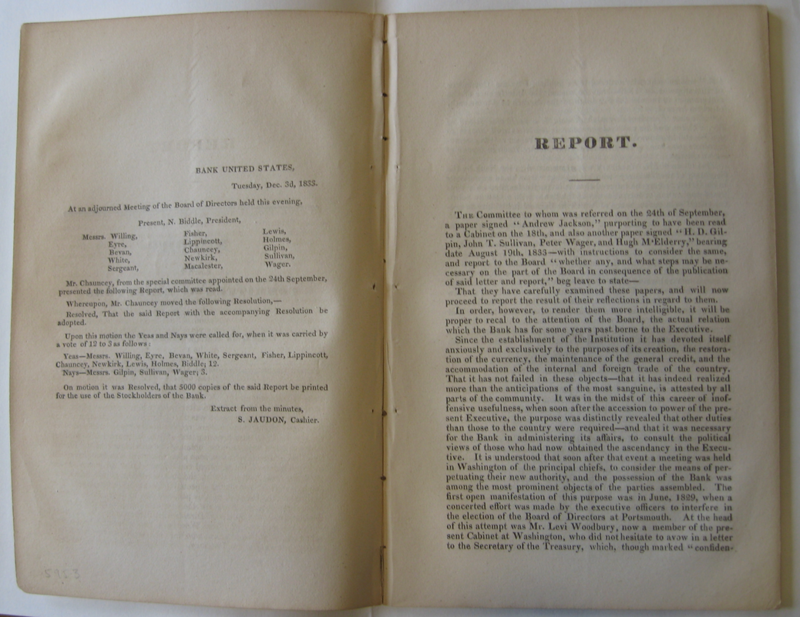 Left: One of my favorite, relatively unknown sources: BUS Directors Report, 1833. Within the vast historiography of the Bank War, I have almost never come across citations to the primary source on the left side of your screen. They say a magician never reveals his tricks. I have to balance this against my general disposition toward open access. So I've resolved this tension by giving you a snippet. This is a wonderfully illuminating source. It details the psychology of the Bank's board of directors and the arguments they constructed, some of which were more persuasive and honest than others, in defending their institution. For any students of the Bank War, I highly encourage you to find this on your own. After all, one can only cite Biddle's famous phrase about the power of the BUS over state banks so many times! 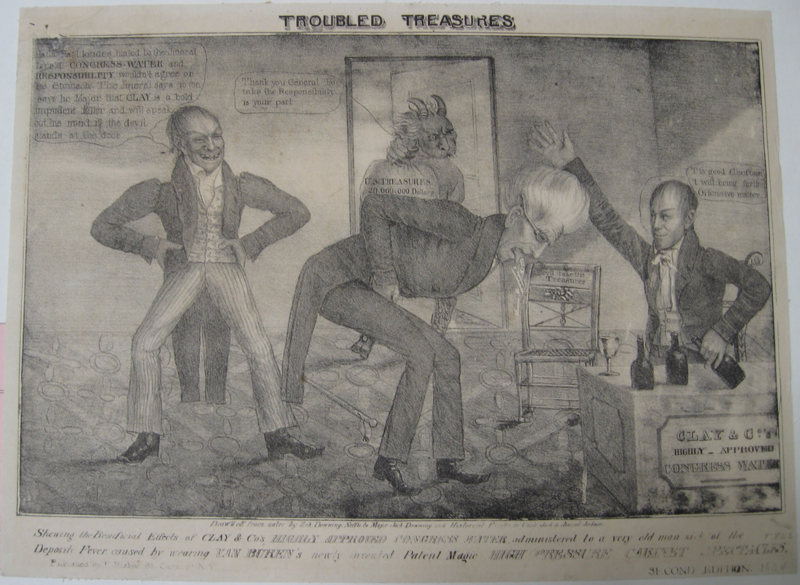 Click here for the federal budget of 1831. I bet you didn't know 86% of federal revenue came from tariffs! 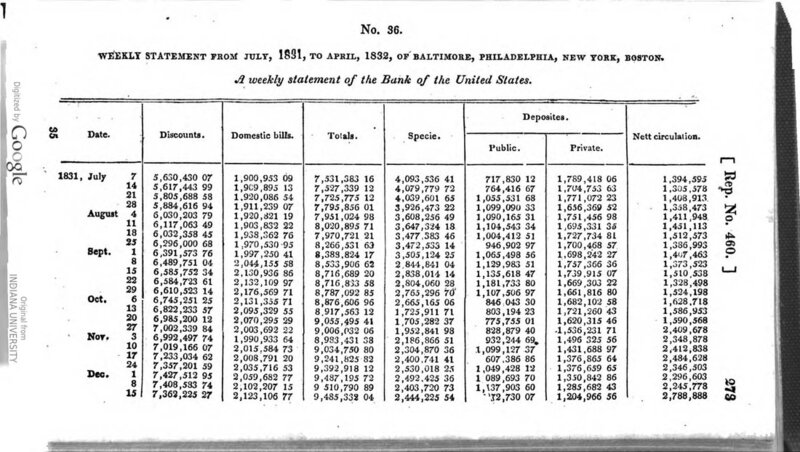 Right: Pie Chart Showing the Average Percentage of Domestic Bills of Exchange Purchased at Each Branch Office According to Region, 1832. The chart shows the Bank's economic influence in the South and West. Because the number of bills purchased at the various BUS branch offices tended to vary widely according to season, it made sense to calculate an average percentage based on several data points throughout a single year. 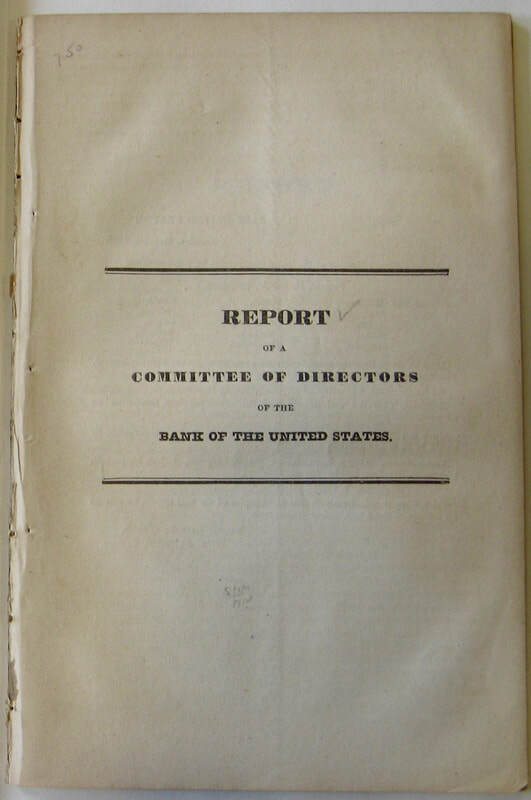 According to financial statements presented in congressional reports, some of which included the bank’s quarterly reports, 1832 contains the most complete financial information, including the number of bills purchased at each branch office. By combining data from three different congressional reports, one can compile seven different data points. Averaging these data points is thus intended to smooth out seasonal variations. The data points are January 1, 1832; February/March 1832; April 1, 1832; July 1, 1832; October 1, 1832; November 1, 1832; and January 1, 1833. Calculations performed by author. Definition of Regions: For the purposes of this pie chart, the BUS branch offices were divided into the following regions: (1) Mid-Atlantic: Philadelphia, New York, Baltimore, Washington, and Utica; (2) New England: Portland, Portsmouth, Boston, Providence, Hartford, and Burlington; (3) Southeast: Richmond, Norfolk, Fayetteville, Charleston, and Savannah; (4) West: St. Louis, Cincinnati, Pittsburgh, and Buffalo; and (5) Southwest: Nashville, Louisville, Lexington, Mobile, Natchez, and New Orleans.